– Optimum have been working with the team at Petainer for a number of years now. It’s been such an exciting time in their development. And really satisfying for us that we’ve been able to play a part in their growth and global expansion by helping them deliver several business and systems change projects. Really these have been enabler projects – underpinning their ability to execute their strategic plans and optimising business processes. Since the current ownership team took over in 2009, it has been quite a journey for Petainer – becoming a pioneer in high performance plastics packaging, expanding beyond Europe, and developing exciting new products. Since 2009 Petainer has focused on expanding it’s European base and is now able to provide global reach supported by local teams. The company’s corporate head office is situated in London with manufacturing plants and R&D centres in Czech Republic, Sweden and Russia – and now also India, having just opened a new facility there in December. The business is expanding in the USA and has presence in Australia and South Africa too. All supported by global sales teams. 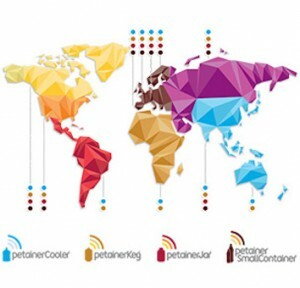 The industry and markets are changing, and Petainer have been at the forefront of this development. Such as with the introduction of PET kegs as a cheaper and greener alternative to the traditional steel kegs in the wine and beer industry. And advanced polymer engineering now making 2-stage production in HDPE possible – offering significant material reduction and shelf life improvements. As Petainer goes from strength to strength, we’re delighted that Optimum continue to be their business partner for change.